In recent weeks the buying power of South African rand has weakened against major currencies and most of us cannot help it but feel slightly poorer. A weakening rand and regular inflation has put pressure on many household’s incomes and we all need strategies to help us retain most of the value of our hard-earned money. One of the most crucial aspects of intelligent investing is hedging against the devastating impact of inflation. 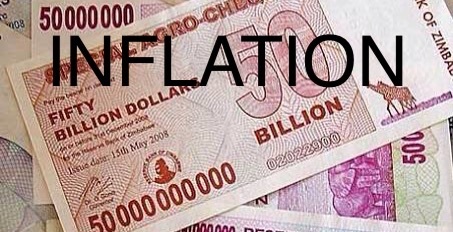 inflation is often understood as the rate at which prices of goods and services increase, but in reality the effect of Inflation is far more destructive: it erodes the purchasing power of money, which means that the same amount of money buys less year after year. In 1983, just 30 years ago, a cheese burger cost R2.30. Today, a cheese burger costs R50. This is not because a cheese burger has become more expensive, but because the value of money has been decimated. Each year, you need more money to buy the same burger, because the value of money becomes less each year according to the rate of inflation. This is referred to as the ‘time value of money’ – the very real phenomenon that the value, or purchasing power, of money halves around every seven years, depending on the inflation rate. This means that you will be able to buy less with R50 in a year’s time than what you can buy today. And in seven years’ time, you will only be able to buy with this R50 what you can buy with R25 today – and that means just half a cheese burger. Understanding the effect of inflation on your investments is crucial, because the real value of your investment returns over 10, 20 or 40 years will be substantially eroded by inflation. If your investment returns are projected to be R22 million in 40 years’ time. That certainly sounds impressive. However, what will be the purchasing power of R22 million will be worth in 2055? – If the rate of inflation averages 5%, in 2055 your R22 million will have the equivalent purchasing power of R2.9 million today. Important note: In order to protect or hedge your investment returns against the devastation of inflation, you need investments that generate returns that are at least equal to or greater than inflation. Intelligent investment therefore requires protecting the purchasing power and investment returns over the long term by investing in inflation-hedged investments. One investment that has proven to outperform inflation is buy-to-let property investment. – Firstly, property price growth, while experiencing short-term fluctuations, continues to keep pace with inflation over the long term. In fact, inflation boosts physical asset prices like gold, silver, oil and property. – Secondly, and similarly, the monthly rental income generated by a buy-to-let property keeps pace with inflation year after year as the rental increases each year by the amount stipulated in the lease, generally 10%, or at least the inflation rate. This means that the income is hedged against inflation and will still have the same purchasing power, namely the rental for that type of property, in 2055. For this reason, buy-to-let property is one of the best alternatives to ensure that the value of your investment returns do not effectively halve every seven years, but rather MAINTAIN their value, providing a real hedge against inflation, regardless of what the inflation rate may be. CHECK THIS SPACE IF YOU WANT TO KNOW HOW TO GROW VALUE AND NOT JUST MAINTAIN IT! A direct investment in a buy-to-let property is undoubtedly one of the best ways to hedge against inflation, as it creates an ongoing, inflation-linked monthly income for life, while also delivering steady, inflation-beating capital growth year after year.